So, for the last few months I have really been trying to master a natural, but sculpted eyebrow. I wish I had those super full soft pretty brows that you can comb up to look wild and crazy or gel down to be nice and sleek.. but I don’t. And it took me a really long time to learn that the type of brow I really wish I had just doesn’t work with what I have :/ I’ve also noticed this happens to a lot of people. So there’s a lot us of out there just drawing on the type of brow we wish we had without realizing how much of a hot mess that can actually look. My natural eyebrows aren’t awful but they’re nothing to write home about either. Without any powder or pencil to fill them in the shape is just a little blah and just like everyone else I have one brow that i really love and then there’s the other one.. that I hate so we won’t look at that one today. To make them look a little fuller I start with one nice precise line (stud eyebrow pencil from Mac) just slightly below where my brow hairs actually grow. 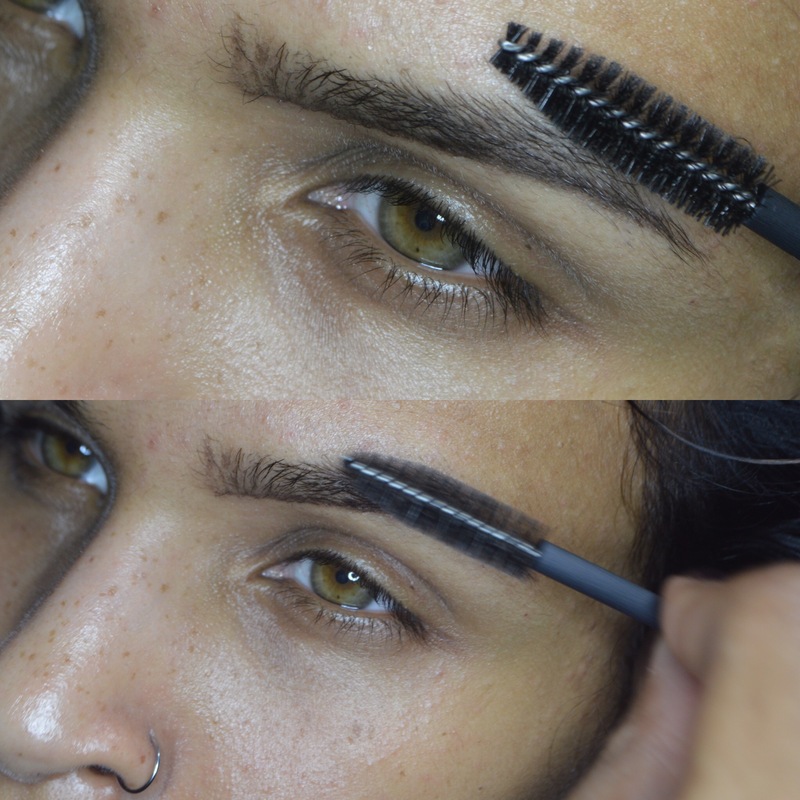 This gives my brows a cleaner but more dramatic effect. 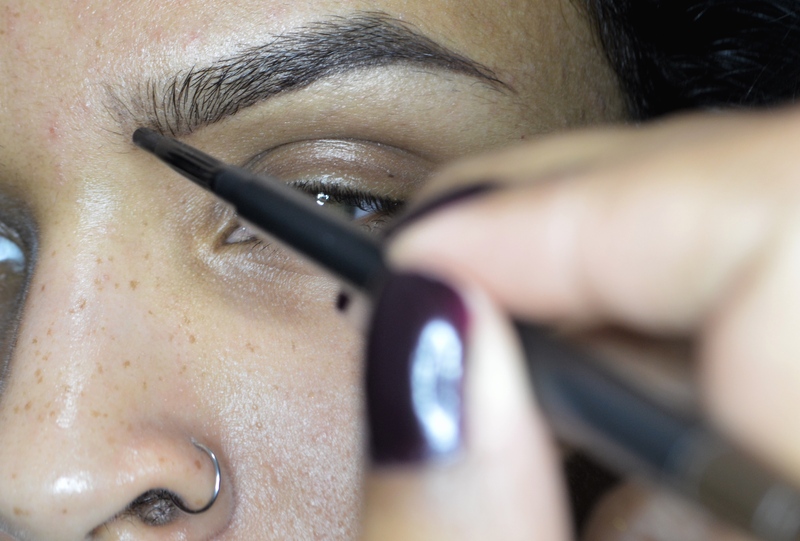 Then, I take a small angled brush and use small light strokes mimicking the directions my brow hairs grow to blend and soften that line below the brow. With this application you’re basically just pulling that color upward and throughout the brow giving the effect of that ideal brow that’s full but not “stamped” on. 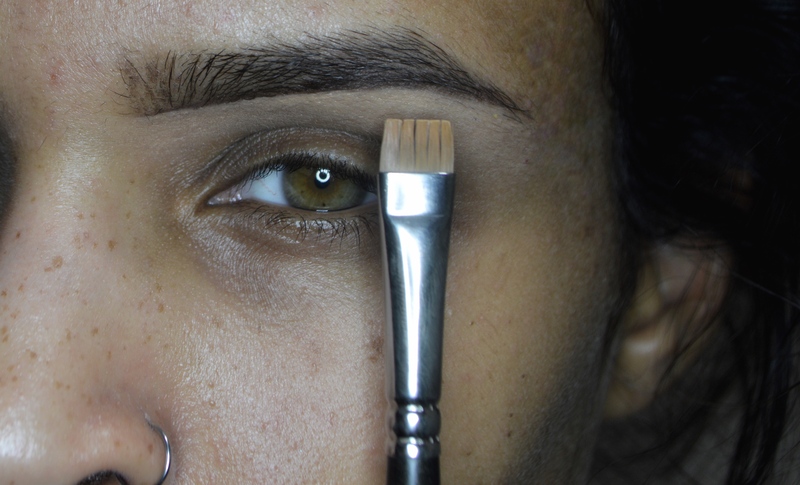 I like for the top of the brow to be as soft as possible so I take a clean mascara wand and brush through the upper brow to pic up some of the product and soften it even more. This trick actually does wonders! It can really soften the makeup and give a much more natural effect. Swipe a little concealer under the brow to clean up and brighten.. I like to leave the top of the eyebrow with as little product as possible, including framing it with concealer, because I want to avoid giving them a more “stamped on” effect.